One-story houses have diehard fans. There is nothing you can do or say to persuade the Ranch and Mid-Century Modern loving fanatics. They’ll cite the ease of layout, the expansive feel, and lists of other reasons single story houses are the end all-be all of home styles. Is this you? Do you long for a low maintenance bungalow? No need for multi-story ladders to clean the gutters of these homes for sale or rent near Joint Base Langley-Eustis. All of the properties listed below have easy access throughout, and hardly a stair to be found within. 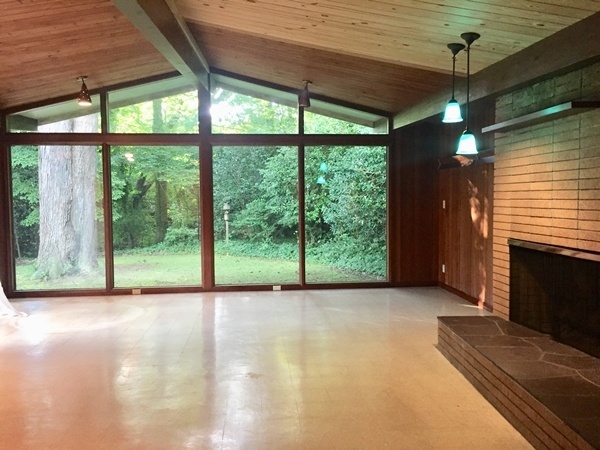 If your personal style is Mid-Century Mod, not only are you on trend, but you’ll be happy with the vibes of this home located in Warwick on the James. 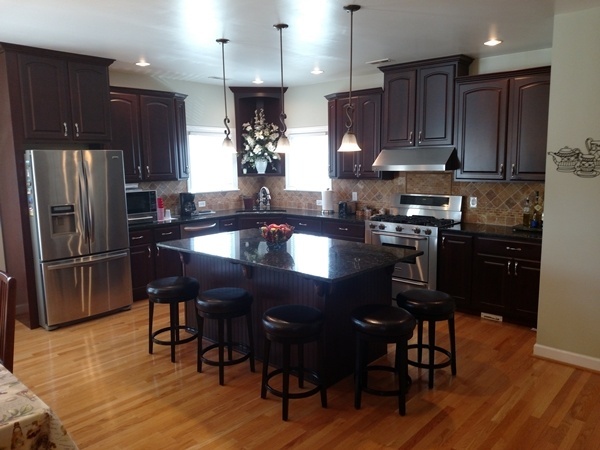 A true ranch home, the 4-bedroom, 2.5-bathroom feels far-reaching because of the open concept layout. There’s enough space for two fireplaces and a family room with floor to ceiling windows. You’ll be glad to have those windows, because the view outside is extraordinary. A wooded lot with plenty of privacy makes up the back yard. In front, a mature tree-lined street leads straight to the driveway. Inside, roomy bedrooms await personal items from the next owner or renter to make the space their own. Hardwood floors and plenty of period precise cabinetry show off of the lines and angles of the easily identifiable and iconic architecture. Don’t be fooled. There’s plenty of space behind the custom brick exterior. Inside lies the hard to find double master suite layout. An open concept living arrangement provides plenty of room for day-to-day living, but the bedrooms are as private as you’d want them to be, especially if you’d like to turn one of the master bedrooms into a guest suite. Speaking of privacy, the wooded backyard has an abundance of it, ideal for the master bedroom that has direct access to the sun deck and back yard. Kempas hardwood flooring, wainscoting, and jetted tubs are just the beginning of the luxuries found within. Upgrades are simply the norm for this home. And because single story homes are low maintenance, the new owners can look forward to a lawn and flowerbeds that have professionally and beautifully maintained for 15 years. Custom built and convenient location are tough descriptors to ignore when house shopping. Who wants to waste time in traffic to and from work when you could be relaxing hearthside while a cozy fire is roaring on cold evenings? Or, on the warmer days, unwind under the covered patio out back while enjoying time spent outside with friends and family. High ceilings emphasize the 3,400 square feet of living space within. 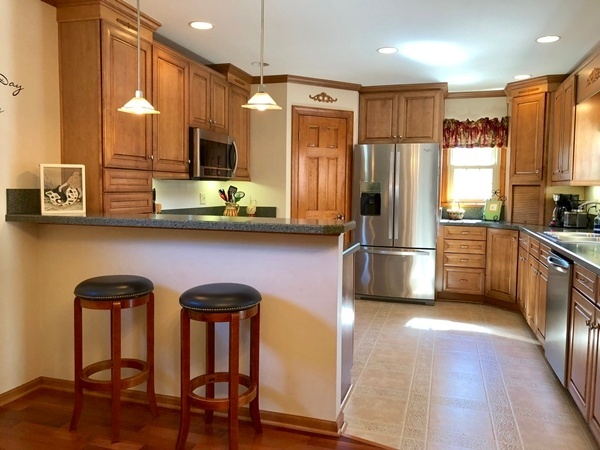 But the extra amenities such as custom book shelves, ceramic tile, and hardwood floors provide the extra touches that turn a house into a home. Couple those niceties with optimal practicalities like hard wiring for vacuums and generator, in addition to a permanent gas line out on the back porch, and the package becomes complete. Ok, so this home bends the one-story rule slightly, but the upstairs bonus room and walk-in attic storage areas don’t have to be used on a daily basis. Perhaps a guest suite or a hobby room would be the best use of this convenient to have, but not-necessary-for-daily, life room! 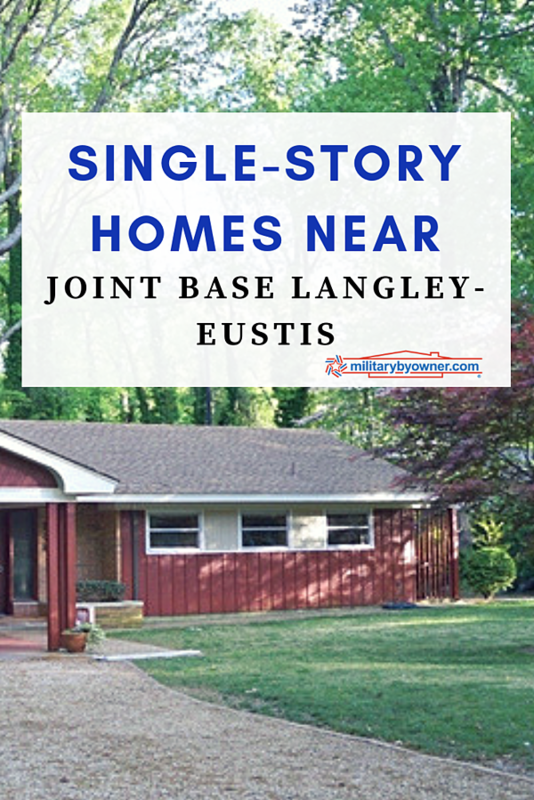 Certainly, one of these homes caught your eye if you’re in the market for an easy living one-floor home near Joint Base Langley Eustis. 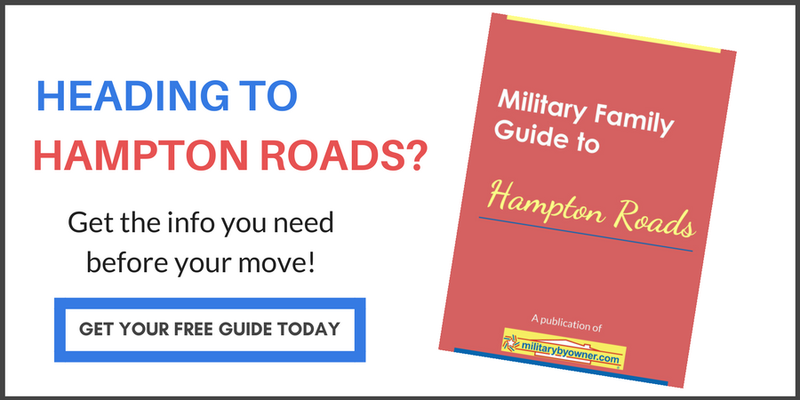 If not, there’s more to be found in the military friendly cities of Williamsburg, Hampton, and Norfolk.